She’s right. 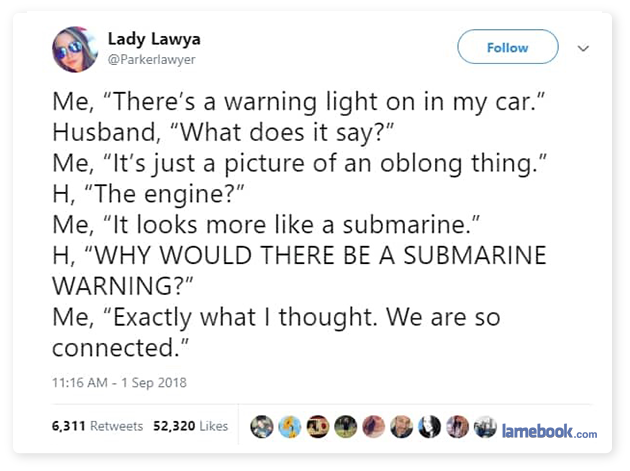 It does look like a submarine. It probably came on because she hasn’t had the oil changed in her Toyota since she bought it 3 years ago.